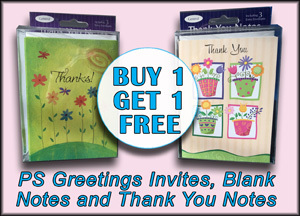 Hiqh-quality name brand greeting cards, stationery, invitations and gifts. 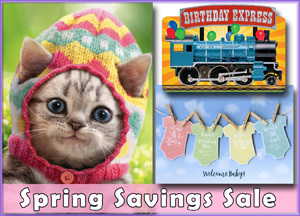 Welcome to PaperCards.com, the online store of Curiosities Greeting Cards and your best source for buying real paper greeting cards, invitations, stationery, calendars, gifts and more! We have thousands of name brand greeting cards from dozens of companies with the best reputations for producing quality products. This allows us to offer a wide variety of greeting cards in different sizes with unique design elements and a diverse list of special features such as textured paper, metalic foils, glitter, die cut, embossing, pearlized paper, inserts, ribbons, gems and much, much more. 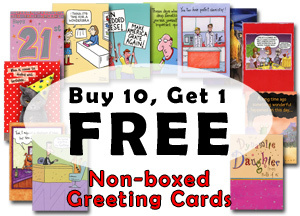 Don't settle for ordinary greeting cards. In addition to our wide selection of brand name greeting cards we offer a large variety of boxed note cards, thank you cards, boxed Christmas cards, stationery, calendars, invitations and gifts. Whether this is your first visit or a return visit we know that you'll be happy with the variety, quality and selection of products. We take pride in our customer service and the quality of the products that we offer and have been creating happy customers for over 22 years. Please contact us if you have any questions or special requests. Option 2: We deliver cards, stationery, gifts back to you. We take pride in the variety and quality of the products that we offer and only choose the best brand names. From the smile producing photos and messages featured on Avanti birthday cards to the elegance of Graphique de France boxed note cards the stationery and gifts that we offer are from industry leaders. Browse the brands in our store and see for yourself.